The business phone system is arguably the most critical business tool for most organizations. Yet many phone system decision makers do not fully understand or appreciate today’s modern communication environments. Often people only consider “voice” and think of it in terms of the once-standard analog landline. However, t raditional phone systems are no longer a business-enabler. In fact, they have become a business-restrictor in many cases and the analog landline has become old school. The Private Branch Exchange (PBX) telephone system has been at the heart of business communications for a long time. Too long. In a world of mobile working, rapid market changes, rising customer and employee expectations and increasing business collaboration, traditional phone systems no longer match modern business needs. The analog landline system, or public switched telephone network (PSTN) is on its way out, many predict by 2020, though we think that might be a little aggressive. Whatever the case, to truly meet your business needs and give your organization competitive advantage, it’s time to modernize your communications environment. Today’s communications environment encompasses the full communications spectrum. From voice, to web meeting, instant message or chat, and video. It also provides these comprehensive services from a variety of devices. Modern successful companies conduct business in a whole new manner, accommodating increasingly mobile workforces. Looking for a new or upgrading your phone system today, should begin with these considerations. Cloud – the most successful companies are moving critical business systems to the cloud. From their enterprise software solutions, to their desktops, and yes, their communications systems. Features and Functionality – no more Plain Old Telephone Service (POTS). 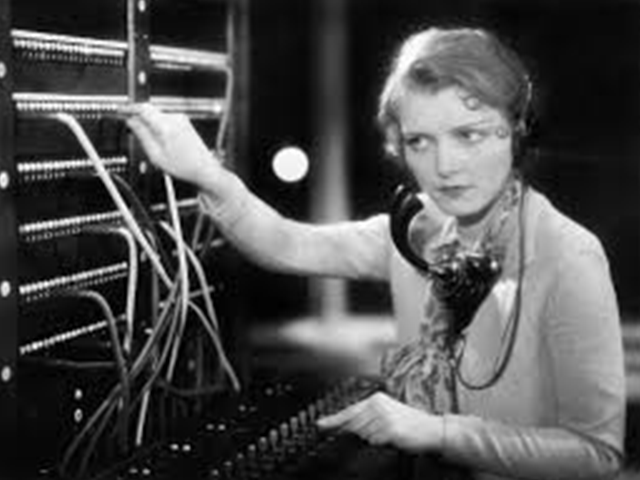 Analog landline today is akin to watching black and white TV over the air with bunny ears and aluminum foil to bring in three channels if you’re lucky. Think of all the availability of digital and streaming “TV” options. While you may or may not want or need every available service, reaching out to your customers with the equivalent of OTA basic TV channels is not going to position your business to deals. Reaching your audience where they are with their preferred method of communication has proven to win and retain customer loyalty. In today’s highly competitive market and the cost of new customer acquisition, this is putting money in the bank! 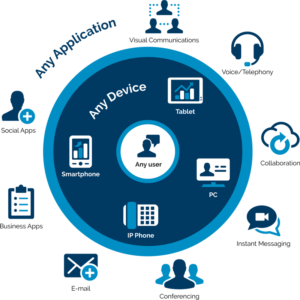 Mobility and Consistent Identity – today’s business environment is found almost anywhere. People are on the run. More organizations employ work from home options. BYOD is becoming the norm. All of this has the potential to spread your core business intelligence to far flung places, or possibly lose track of it all together. 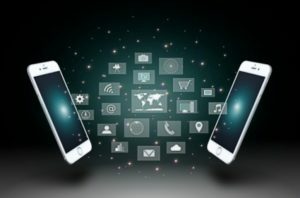 A modern, unified, communications solution enables all these business practices while maintaining your business identity across devices and ensuring business intelligence is maintained within your enterprise. If you are unsure of where to start, remember OneCloud Networks provides FREE communications assessments. Below are also a few great resources to help.